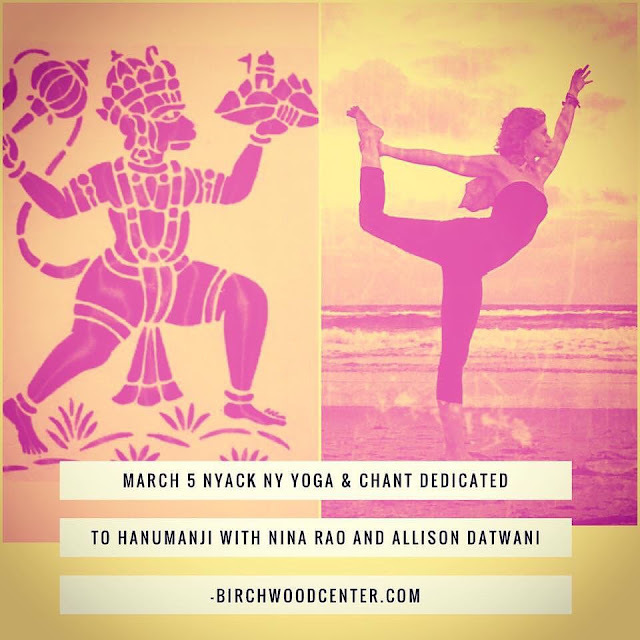 I'm looking forward to sharing this very special music and yoga experience this coming weekend at the beautiful Birchwood Center of Yoga and Massage with Nina Rao. Nina is a very accomplished and sublime chantress. She is Krishna Das' manager, vocalist and cymbal player who travels and performs worldwide. In 2007 she recorded the track "Nina Chalisa" on Krishna Das' CD "Flow of Grace" and in 2013 she released her debut album shown below "Antarayaami-Knower of all Hearts." Please join us Sunday March 5th for both yoga and live music or for the 2nd 1/2 music only portion of the event. Please visit www.birchwoodcenter.com for more information and to register. Your heart's vibrations affect everyone who is around you. This is why being with a lighthearted and joy filled person will raise your mood and why being around an angry, fearful, anxious or depressed person will lower your vibration. Today being Valentine's Day strengthen your heart and everyone around you including your pets by breathing light into your heart's energetic center, Anahata Chakra. See it as a green mist of swirling light that makes a clockwise spiral wheel image in the center of your chest. Close your eyes or soften your gaze down. Then close your mouth and deepen your breath. You will hear an ocean like sound coming from the back of your throat. Rest your left hand on your chest and the right hand on your belly. Follow your inhales and exhales. Enjoy the calming feeling that comes over you. When you're done let go of the deep nose breathing and return to watching your natural breath. Notice your heartbeat in your left hand. Gaze forward and be still for a moment to ground before you move on and about your day. Realize that this mini self care heart healing exercise is not only creating better health for you but also with all beings you interact with. What is your Valentine's Day wish? Imbolc is feeling your potential that's been rumbling in your belly since last November and it's time to let it out. It's the fire that burns within that can no longer be contained. If you hold it back, it's a flat tire at the side of the road, a no show date, a broken promise, a life not lived. Imbolc is the returning of the sun's light on your abilities. A time when you realize winter's darkness was necessary to bring clarity to your path ahead. Imbolc is when the earth shows signs of the sun's rebirth. A green shoot rising through the mud, noon time sun warming your cheeks, tight buds on spring's flowering trees. What do you notice being birthed within you? At this time the creative and nurturing Goddesses Brigid, Hestia, Saraswati and Inanna reign over protecting the quickening of the sun's length of day's light. If you feel to, light a candle and call on them to assist in awakening your inner light.